I love me some ascetics. If a product has amazing packaging, I’m sold. If a house is meticulously decorated, I’m sold. 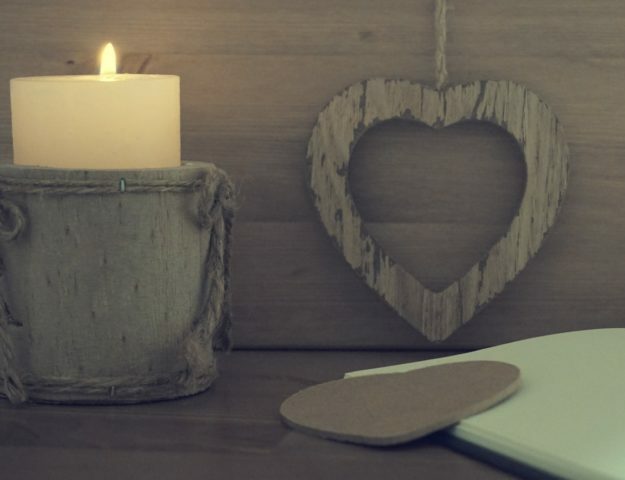 Pinterest of course has probably fed into the ascetics passion. So when my sister’s 23rd birthday was approaching, I decided to do a tea/brunch party. 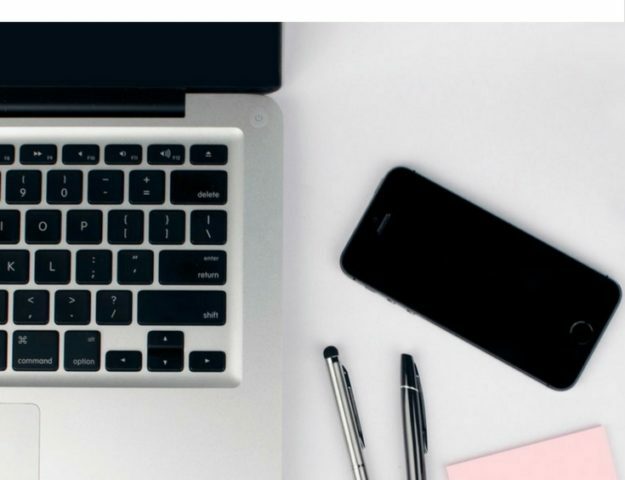 I had already seen some really well matched colors, themes, and ideas on Pinterest. So I decided to make a pin board (check it out by clicking the link). 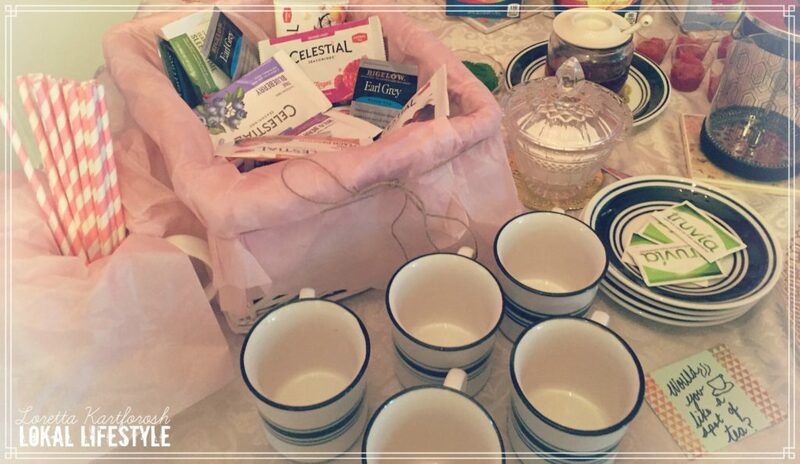 There is a lot out there when it comes to tea parties. There were some little kid themes which would be super cute, but I was looking for ideas appropriate for a 23 year old and our 20 something year old friends. I decided upon a color scheme of pastel pink and mint, along with gold, and a floral pattern. Although the majority of the party matched this theme, of course it wasn’t 100%. I still think it looked great, we got a lot of compliments, and it was very fitting for an 11am Summer tea/brunch party. So we’ll look at the decor and then the food/drinks separately. Yes, I know it’s 2016. 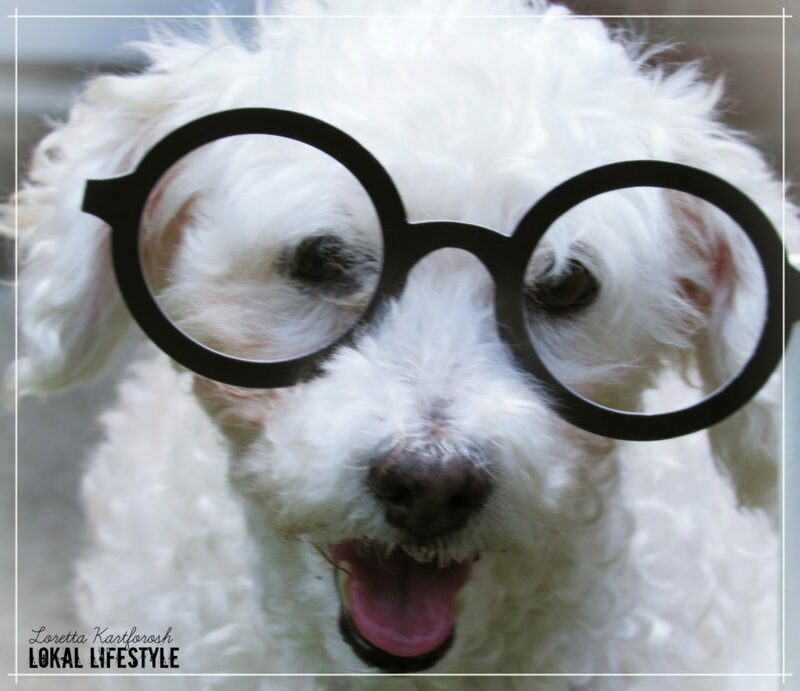 Yes, I know I can simply send an informal text the guests or shoot them an invite on Facebook. However, that’s not personal. Getting handwritten mail is exciting in my opinion! Plus, I wanted the invitations to kind of give the guests a look at the theme. 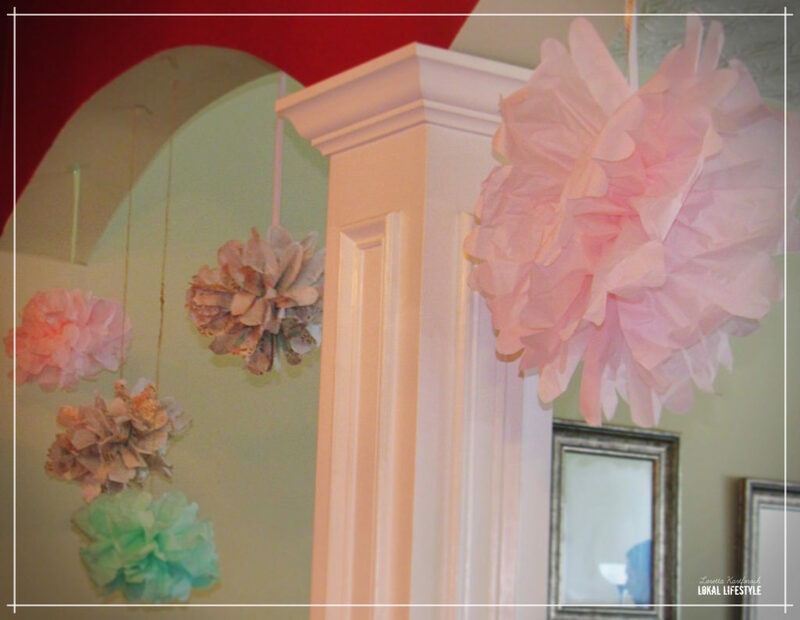 So I used products from Hobby Lobby to make the invitations. Since Leila turned 23, I decided to do a play on words. 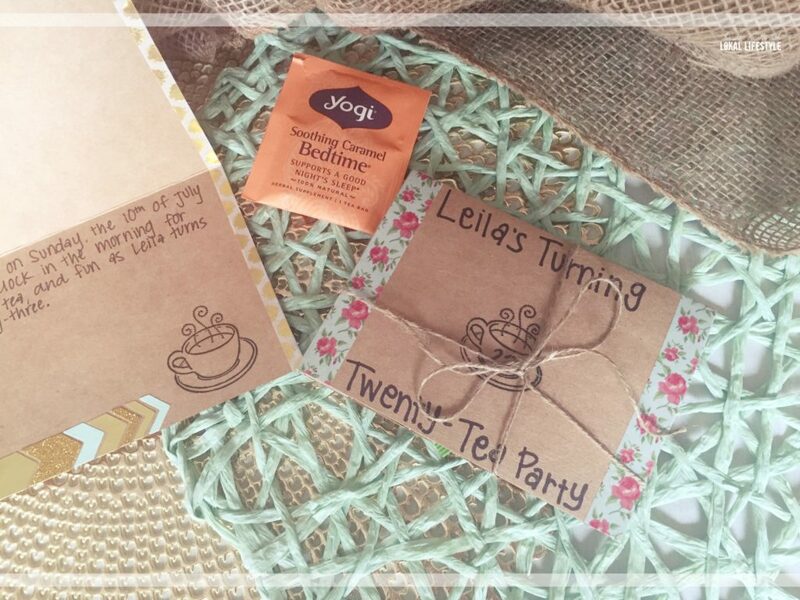 On the invites I put, “Leila’s turning twenty tea (23) party!” Get it?! I got plain cards (card stock material) and used washi tape, stamps, fun stickers, and scrapbook paper. 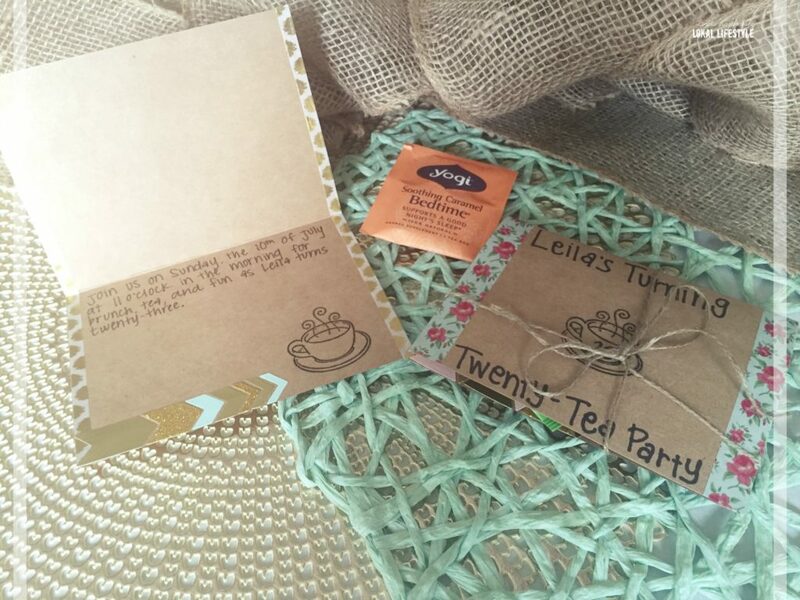 I also included a tea bag inside each invitation. I wish I had gotten more & better pictures of these. However, the party happened so quickly so I was more concerned with the food aspect! You know, I always see these kits for the hanging poms at stores and they are so over priced for just like two in a package. On Pinterest I found that you can simply fold tissue paper, do some cutting, and fluff them out on your own. I used the burlap type of string along with some patterned ribbon I bought. 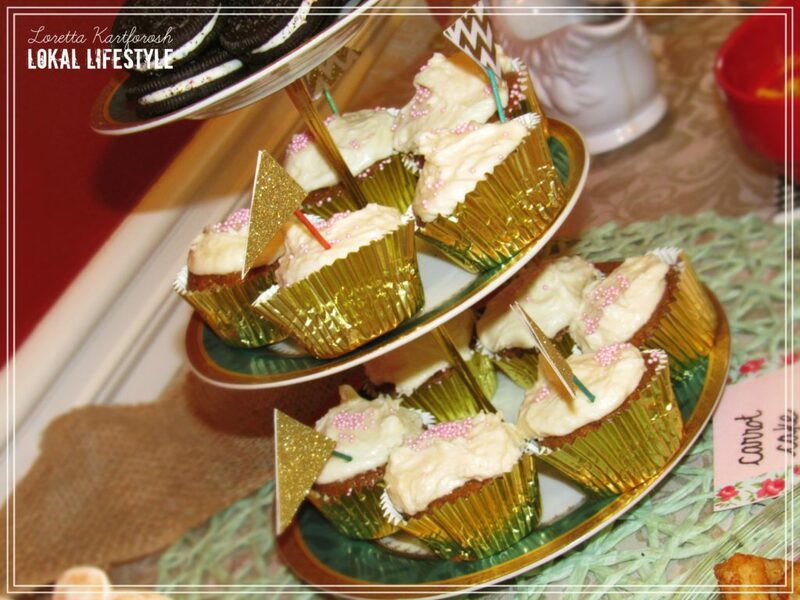 These look elegant, are simple to make, and my favorite…CHEAP! 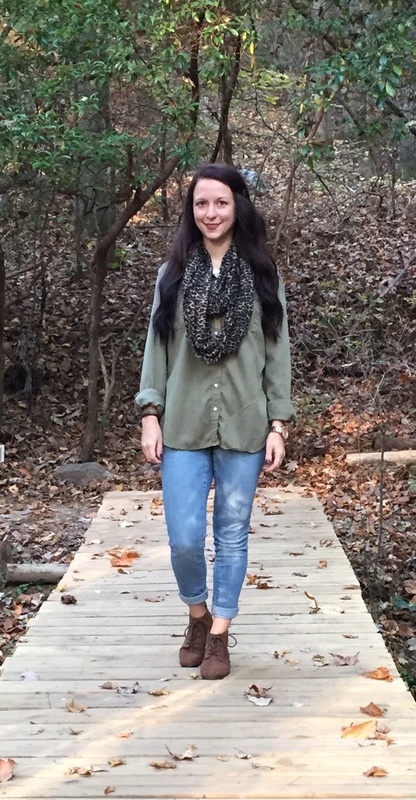 Talk about simple and chic! I used some cards stock to match the theme, cut them into same sized triangles, punch holes at the top, and threaded a string to create a triangle banner. You could get even more festive by putting letters like “Happy Birthday” on them. I wanted to keep it simple this time, plus I thought about reusing these in the future. s, but this year I wanted to make it easy. I got a variety pack of 16 items from Hobby Lobby for $5 because it was 50% off. So, I thought why not? Again, I can reuse these for future house parties. (I’m really big into reusing if you couldn’t tell already!) My intention was to create a back drop with flowers tied on strings, but unfortunately I ran out of time that morning. Even little Ms. Ava Bear (our foster pup) was excited for the photo booth! 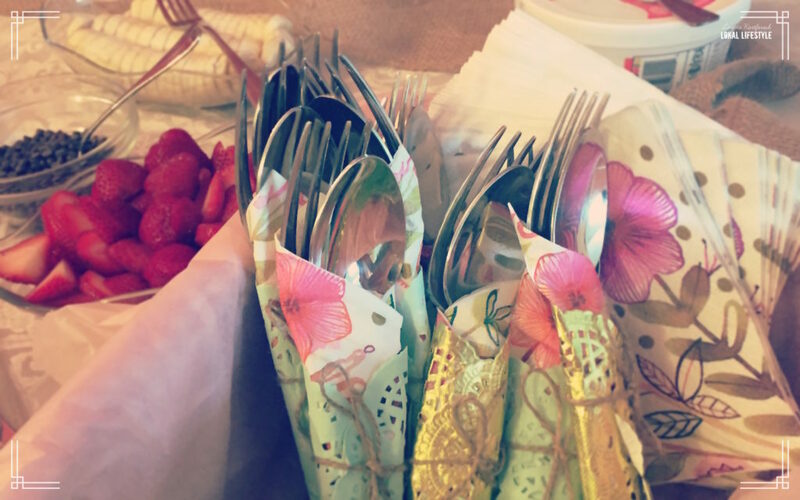 I bundled up regular silverware in a floral napkin, then a lacy doily on the outside tied together with burlap string. 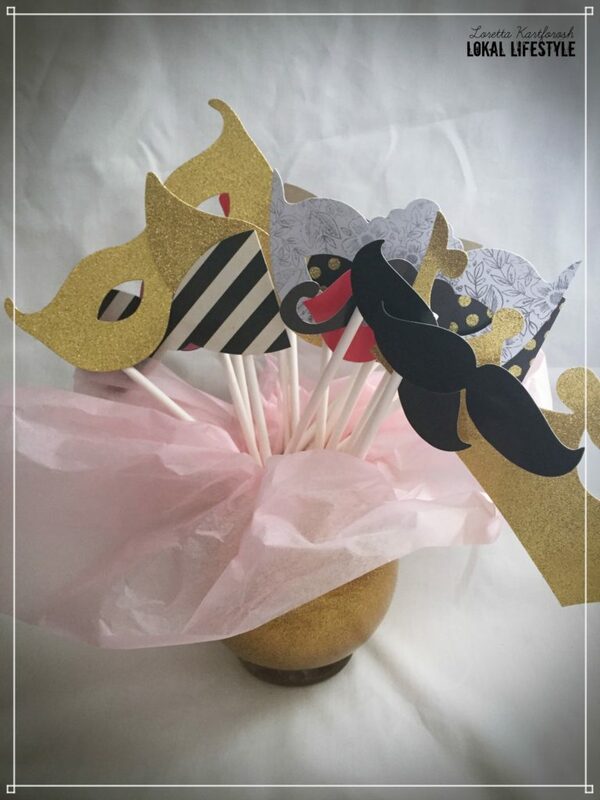 Yet again, you can purchase these and spend way too much money OR you can use toothpicks (cheap) and cute card stock (also cheap)! I made these food flags to stick in the carrot cake cupcakes on a tiered display. I also made little food labels so the guests knew exactly what they were eating. For those I just used card stock and floral washi tape. 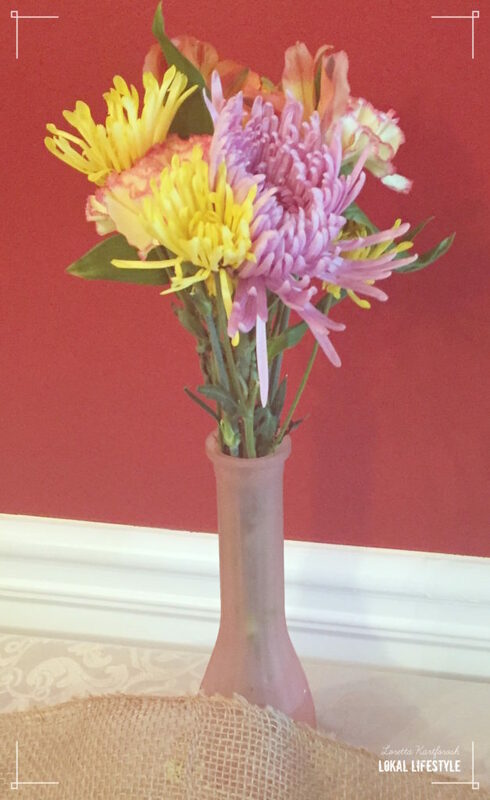 I generally find flowers to be a waste of money. Sure, they are beautiful, but have you seen the prices? Plus, they don’t last very long either. However, Kroger always seems to have clearance flowers. Since the party had a floral theme, I did want to have a few flowers here and there. I got a few bouquets for only $0.99 and some for a little under $2 including sunflowers! So check your local grocery store for flowers on sale when using them for parties. They may not be in the most fabulous condition, but it works for that day of the party. AKA: My Favorite Part! Also, all the food was VEGAN! This should be a no brainer. It’s simple, cheap, healthy, and goes well with any party! 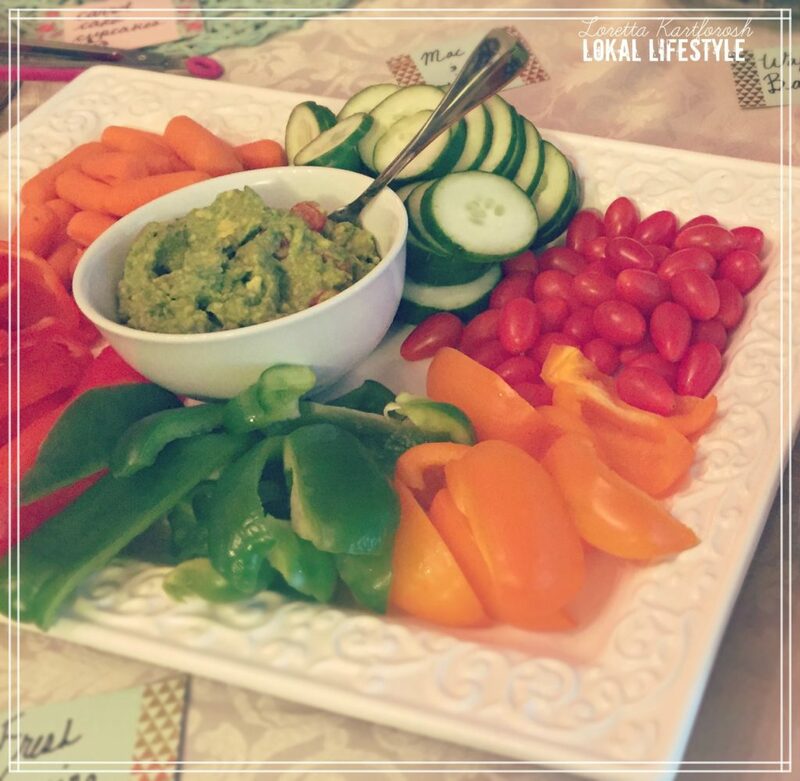 Just get some fresh veggies and provide a dip. You could use ranch dip, sour cream and onion, black bean dip, but I chose guacamole. This is a homemade guacamole recipe that includes avocados, lemon juice, chopped tomatoes, garlic salt, and pepper. Per my sister’s request, we also had a Belgian waffle bar. Growing up, we would always have sleepover birthday parties. 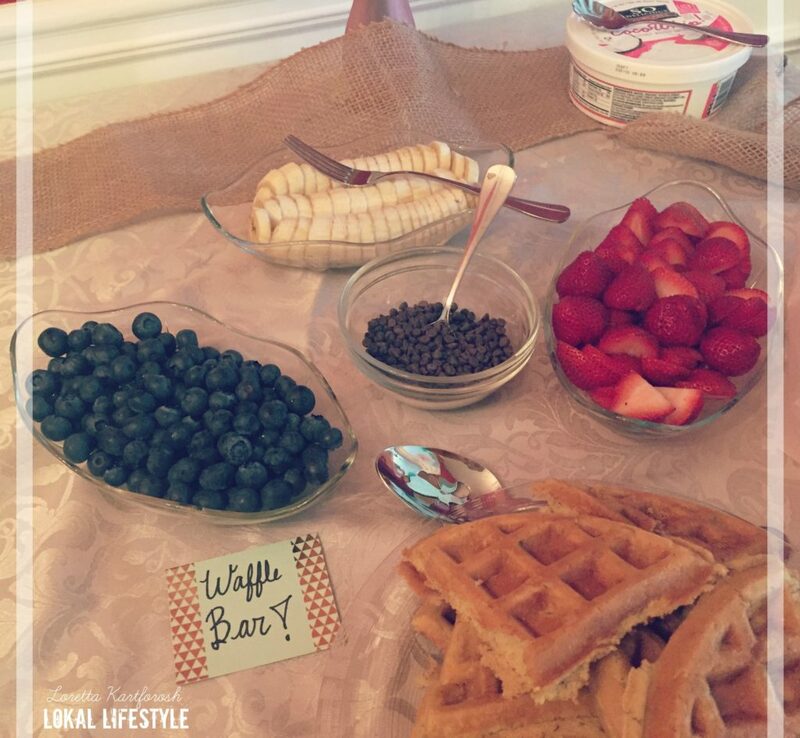 We would always look forward to the morning breakfast waffle bar complete with chocolate chips, fresh fruit, syrup, chocolate syrup, whipped cream, you name it! Although all those toppings don’t make it the most nutritious breakfast in the world, it was a celebration, so that’s okay right?! I personally have never made waffles using a waffle maker. In fact, I purchased this Belgian waffle maker just for the party and now I’ve used it for my own breakfast. So, I think it was a good investment especially since they turned out so well. 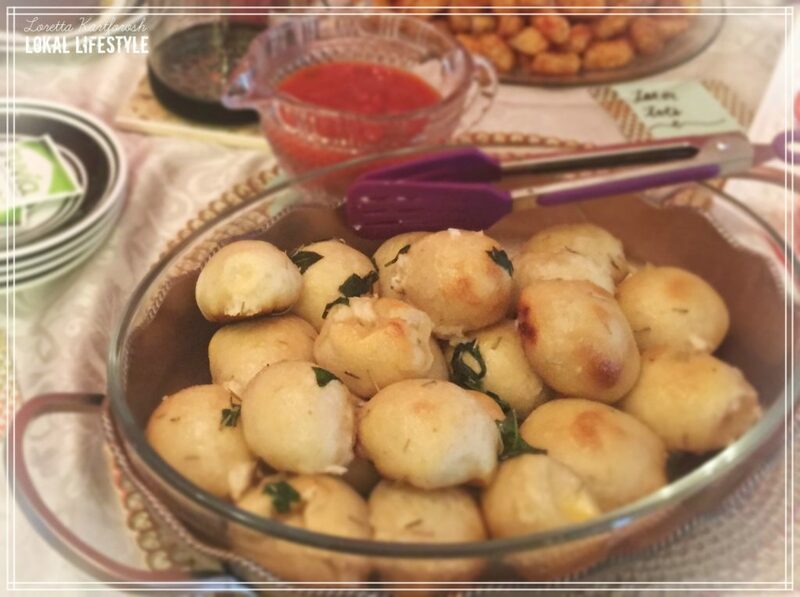 I think these were probably the biggest hit at the party as a lot of our friends complimented them (and that’s the best thing to hear at a house party)! The recipe is for strawberry pecan waffles, but I decided to just keep it plain and allow the guest to flavor it based on their preferences. We had fresh strawberries, blueberries, bananas, chocolate chips, warm syrup, and whipped cream. How cool is it that there is whipped cream made from coconut milk? Get it?! No, but really, the whipped cream was delicious. I’m telling you there’s a vegan alternative to practically everything. Now the original recipe for these delicious little things is designed in the shape of a Christmas tree. The first time I made these was for a Christmas party, but you could totally use it for any event. So, I pretty much use it for every event because it’s always a favorite especially when they are fresh out the oven dipped in marinara sauce. When I made this recipe in the past I was a vegetarian, so I was still consuming cheese. This was my first time making these with vegan mozzarella and cream cheese (these can be found in the organic/health food sections at regular grocery stores or at farmer’s markets like Sprouts or Whole Foods). Interesting enough, the pizza crust dough from Pillsbury is vegan! If you’re a vegan, just do research ahead of time and check labels for egg or dairy products. 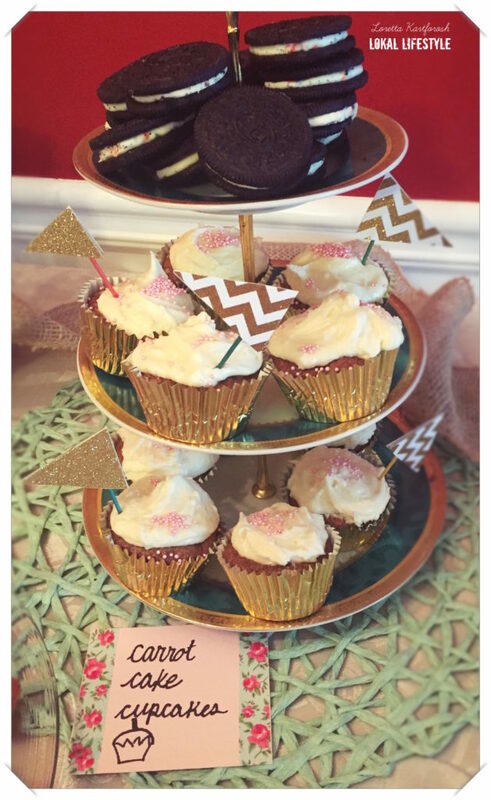 These still tasted great and we didn’t have any leftovers! Sorry, no picture for the mac and cheese. It was nothing special or elaborate though. Honestly it was kind of a last minute craving my sister wanted at the party. We saw that Daiya made mac and cheese in boxes like Kraft does, so we thought we’d give it a try. As vegans of a few months, we weren’t huge fans. I think I would prefer home made vegan mac and cheese, but some people liked it! Again, nothing elaborate here. Just got a bag of Ore-Ida tater tots, threw them in the oven, and there you have it. If you’ve ever done any party planning that included food before, then you know how great it is when you have items like tater tots that are quick fixes! 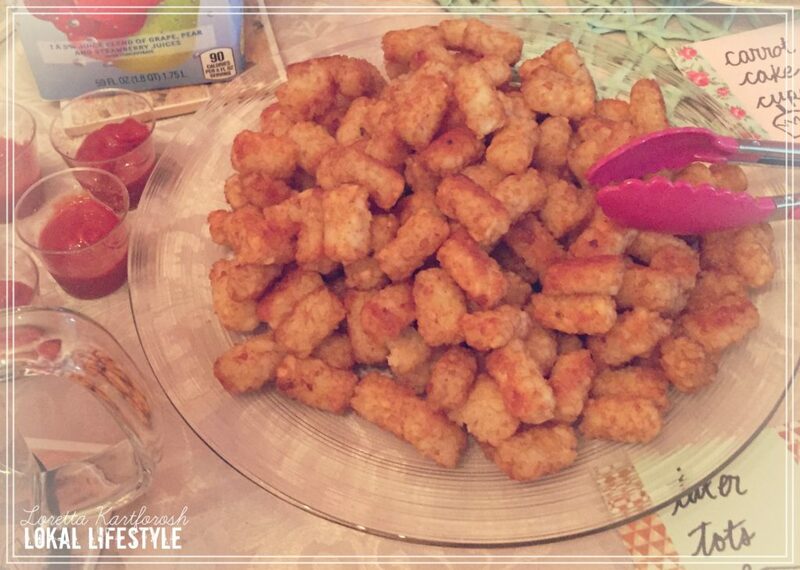 We also included mini shot glasses with ketchup for the tater tots. 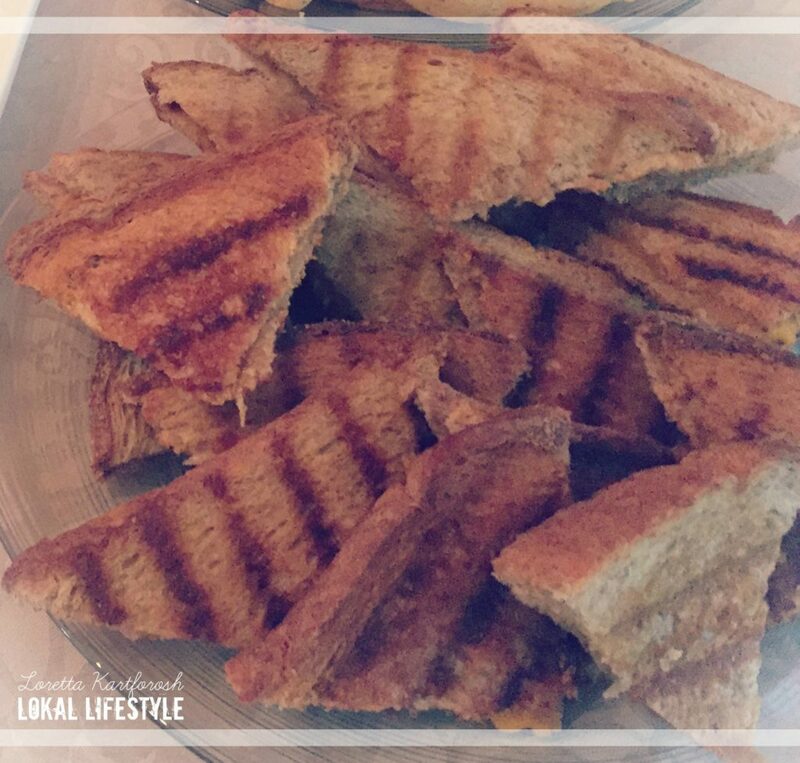 Another really simple, but delicious one here…grilled cheese sandwiches. We have a George Foreman Grill, so it makes grilled cheese that much easier. I wanted to make tomato soup, but yet again time was my nemesis. So, we went with just regular grilled cheese for today. I need about four of me on the mornings of parties that I plan! When we said “tea party” we really meant tea party. My pantry basically has a whole level dedicated to various types of tea. There’s about 7.5 million types in bags or loose leaf. It’s possibly an obsession. So we had a water boiler on the counter for anyone who wanted hot tea along with a basket full of tea choices. My sister is really into pressing her own coffee lately, so she also had her fancy French press available to use. This was my sister’s suggestion since she knew her coworkers that were attending love mimosas. Plus, I knew that my girl friends would enjoy them as well. Mimosas are actually really simple. I just got some Minute Maid fruit juice and orange juice (since that’s the classic mimosa base) and some champagne of choice. Some friends even got creative and threw in some fresh fruit. 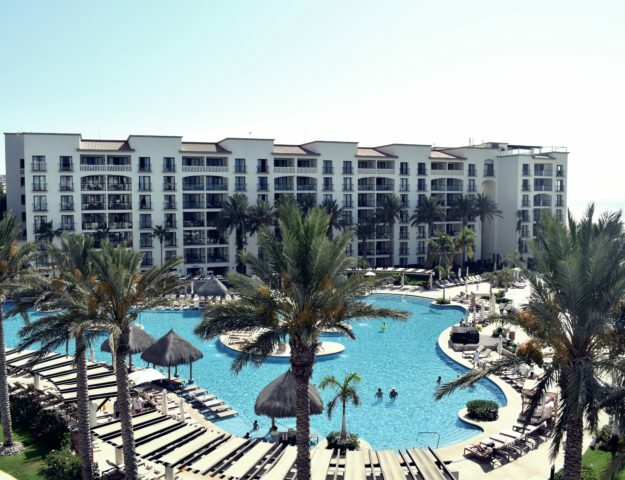 Can you say fancy?! Heads up: make sure you have a wine bottle opener. We don’t have one in our house and this is the SECOND time we’ve had to basically break into the bottle with knives, keys, and fingers. You definitely don’t want floating cork in your drink…Whoops! 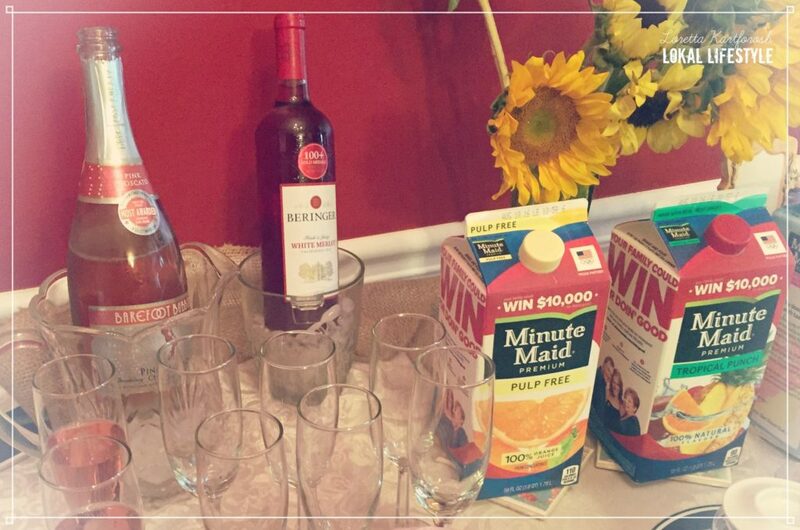 And there you have it…a tea party brunch! Overall the party was a success. With good food, close friends, and hilarious games (please play Cards Against Humanity if you haven’t yet), you are guaranteed to have a memorable party. Have you ever thrown any themed parties? I’d love to hear your creative ideas!